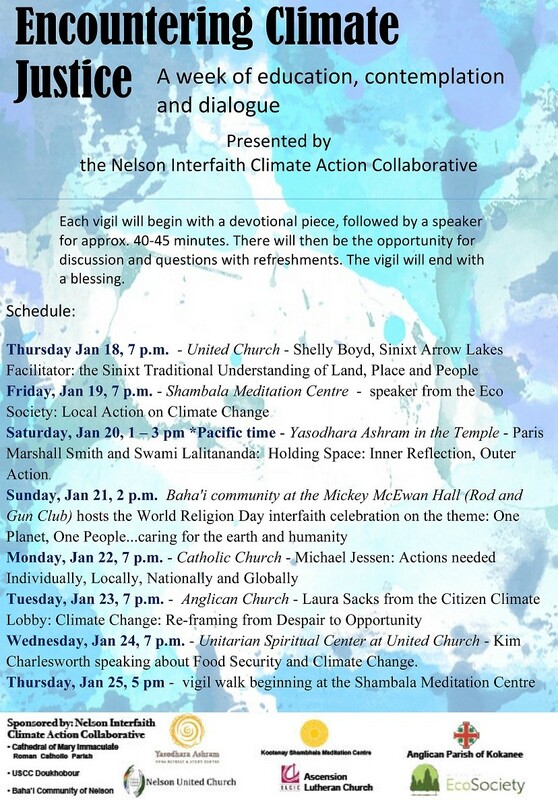 EcoSociety is excited to announce that the Nelson Interfaith Climate Action Collaborative are hosting a week-long series of vigils! Each vigil will start with a devotional piece, followed by a speaker for approximately 40-45 minutes, with discussion and light refreshments to follow. Come join us for a week of education, introspection, and discussion!